Tablet manufacturers seem to start noticing that some users prefer the 7-inch platform. Toshiba is the latest tablet-maker to have announced a new 7-inch Android tablet. The Toshiba Thrive 7-inch is very much like its 10-inch brother but with a smaller display and much thinner at 0.47 inches and lighter at 88 lbs. The 7-inch Toshiba Thrive shares most of the specs of its bigger brother like the 1GHz dual-core Tegra 2 processor, 1GB of RAM, 16GB or 32GB of flash storage, and dual cameras (a 5MP rear and a 2MP on the front). The 7-inch display has a 1280 x 800-resolution, something that’s nice to have in a tablet this size. 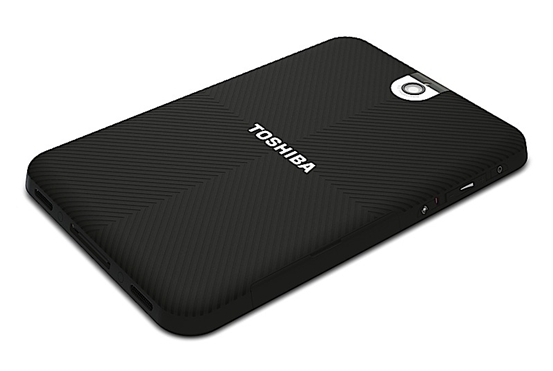 As to ports, the 7-inch Toshiba Thrive has a 3.5mm headphone jack, Micro HDMI and Mini USB jacks and a microSD card slot. 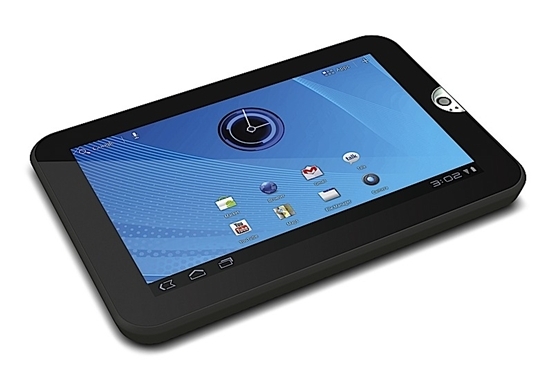 As to OS, the Toshiba Thrive will run Android 3.2 Honeycomb unskinned. That’s pure Android goodness out of the box. Price is expected to be within the range of $400 and release is expected in December of this year.